Join Us for the 3rd Annual Big Welsh Bike Ride! 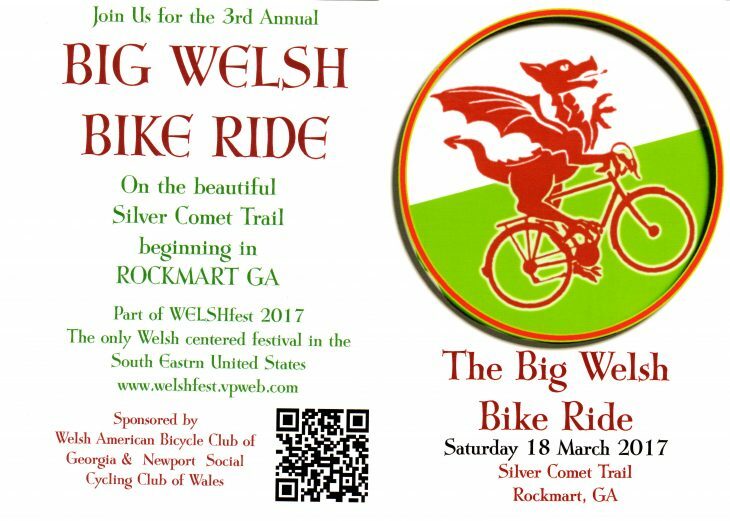 The only Welsh centered festival in the South Eastern United States is hosting the Big Welsh Bike Ride on the beautiful Silver Comet Trail beginning in Rockmart! Come join us at the 6th Annual WELSHfest featuring great music & hymn singning, welly wanging, bike riding, men in kilts, Medieval activities, children’s events, tearoom, vendors & crafts and much more!